There’s nothing like enjoying a good movie with your beloved friends and family, and given that the current world is obsessed with technology, there’s nothing like the issue of robots and artificial intelligence to spice up an otherwise dull Friday night. If you’re looking for movies to watch anytime, regardless of age and genre preferences, then you can check out our list of reviews, in which we showcase some of what we think are the best alternatives currently available. This beautiful Disney animation is a film for the entire family, and it tackles sensitive subjects like the harmful effects of pollution and overcrowded population. A subtle critique of the world we’re living in and the disaster that it’s headed for if we do not change our ways, this is a movie that will entertain the children and leave the adults immersed in their thoughts. It’s a tender story about how love can come in any shape, and about how we should never give up on what makes us human. And what’s more, it does all that with minimal dialogue. Without spoiling the storyline, we can add that you’ll be stunned by the picturesque cinematography, even if it’s just an animated film. A combo DVD that contains two family movies, both of them revolving around science fiction and the quest for new technology that consumes the contemporary world, this is an excellent alternative if you’re looking to kill two birds with one stone. Robin Williams’ portrayal of a robot in Bicentennial Man is a performance that has set the bar for actors all over the world. His way of conveying what it means to feel the way a human being does is undoubtedly bound to make you reconsider your approach to life. As for Mission To Mars, it might not be as emotional and thought-provoking as the first movie on this DVD, but it is popular amongst the fans of the sci-fi genre due to its slick special effects. Yet another emotional story about the value of human life, I, Robot, starring Will Smith, has us thinking about the price there is to be paid for the benefits of advancing technology. The question it asks is how much we can let artificial intelligence interfere with our lives before the limit has been crossed. A complicated story that tackles sensitive themes like the freedom of choice or the power of life-altering decisions, this movie will undoubtedly leave you thinking. Not to mention, aside from the great storyline, the visual effects of this film are plain fantastic. Starring Liv Tyler and Peter Sarsgaard, this motion picture tells a story about the bright side of technological development, that which can improve the quality of our lives. 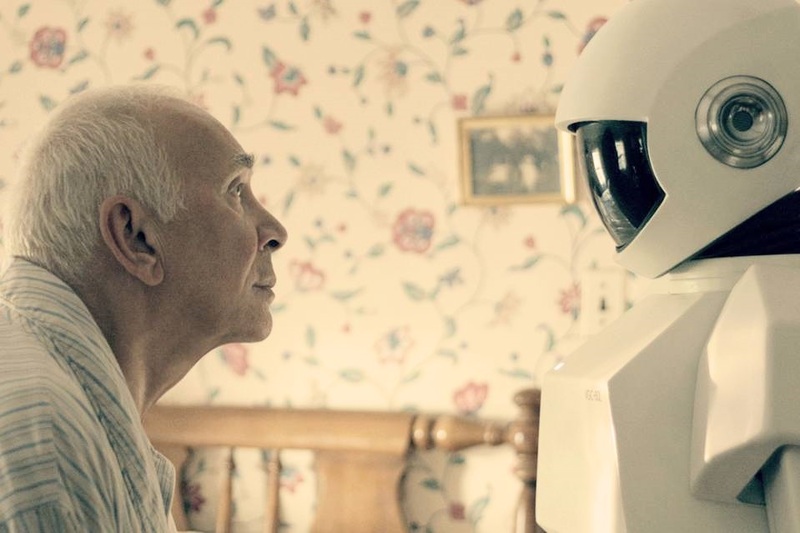 Frank, a lonely senior suffering from Alzheimer, finds himself in the company of a robot, a gift from his concerned children who don’t trust him to live alone anymore. Although he’s resentful at first, he eventually comes around and learns to accept the unusual company of an artificial friend, and along with him, we fall in love with the robot as well. He’s excellent as far as cool robots you can buy go. This is a bittersweet tale about learning to cherish our elderly while they’re still around and about how appearances can be deceiving. An enjoyable alternative that doesn’t necessarily mean to sweep you off your feet, Real Steel is a family movie directed by Shawn Levy, starring Hugh Jackman. The name itself is enough to know that you’re in for a storyline loaded with action scenes and a satisfying conclusion at the end. Not only does this film provide enjoyable action, but it also discusses the importance of family and real human connection, in a world that seems to have forgotten about it. The classic redemption story in a new, millennial form, Real Steel is a choice worth considering. A classic in this field, A.I. is directed by Steven Spielberg, perhaps the all-time father figure of blockbusters. It tells a story about the purpose of creation, and the consequences of it, as well. The film tackles the subject of searching for meaning in our lives, from the perspective of David, a young boy who’s actually a robot, whose life is turned upside down when he’s replaced by the real son of the family that adopted him. His quest rises the question of the ability of artificial intelligence to develop human emotions and makes us wonder if one day we’ll have to share the world with robots as equals. Another alternative of the action genre, this Arnold Schwarzenegger classic is not just your regular Friday night movie. It’s set in a future where time travel is possible and, as we already suspected, the world needs to be saved from self-destructing and the change must begin in the present. One of the most critically acclaimed movies of the Terminator series, this one features a more powerful storyline and is less based on pure action than its counterparts. Directed by James Cameron, it makes a statement as to which way contemporary action movies should be headed. The final cut of this film has only recently entered the public eye, and it’s definitely worth your attention. Decades since the movie first premiered, viewers and critics alike have been asking themselves whether Deckard himself is a Replicant or not, and the evidence is inconclusive. Now you have the chance to take a look at Ridley Scott’s original vision, and enjoy the compelling story about the ephemeral nature of existence and the quest for immortality. Set in a post-apocalyptic world, Blade Runner’s decorum and beautiful soundtrack paint a unique picture that evokes strange familiarity. A classic tale of the value of sacrificing your life for the sake of humankind, RoboCop tells the story of a mortally wounded policeman that returns as a cyborg to help Detroit fight off crime in a distant future. Despite sounding pretty shallow, this is less of an action movie and more of a pessimistic look at the decaying world that we live in. The city is consumed by pollution, crime, and misguided use of technology. The story of Alex Murphy is what makes this movie a lot more powerful since his private investigation into the circumstances of his death makes for an exciting plot. Aside from the remastered version of the timeless 1927 Metropolis, this version also contains a documentary that details the making of the original film. This is your chance to gain insight into the story of class difference and the power that love has in this seemingly utopian world. The staggering difference between the upper-class social elite and the lower class workers is a theme that feels real even today, and the way it is combined with remarkable special effects to illustrate the life of Metropolis, the city of the future, makes for an unforgettable visual experience. For generations, sci-fi movies and books have both fascinated and intrigued our minds. What can be made possible with the help of technology and until what point will humanity be able to go to discover the mysteries of life? No matter if you are a believer or not, important breakthroughs in technology are nearer to our age than ever, with companies paying billions to implement last-minute scientific discoveries that will finally make robots a part of our daily lives. We already see timid integrations of robots in standardizing some operations in large production factories, but more and more commercial robots are starting to take over some of our daily choruses. Pretty much like the directors Hanna and Barbera depicted in their well-known animation series “The Jetsons” in 1962, we are heading toward a fully digitalized life full of robots and mechanism aiming to gain us, humans, time while machines perform repetitive tasks for us. And, although we haven’t reached the era of the flying cars yet, there are still plenty of robot movies on the market to satisfy your curiosity about how our lives could look in the near future. If you don’t have the time to search for these movies yourself, we hope that the following article will assist you in making the right choice. Believe it or not, there aren’t that many great movies about robots in our era, and almost all those who can be considered as good only depicted in a negative way the use of robots. Gifting robots with artificial intelligence will bring a whole new series of problems, leading the humankind until the verge of extinction and self-destruction. Nevertheless, there are some cool movies with robots that might strike your interest if you are fascinated by this stuff. So here is what we consider to be the best approach in looking for the best movies with robots. You may be surprised to find out that there are plenty of sci-fi movies revolving around robots, but, as previously mentioned, not all of them deserve your interest. In order to search for the best robot movies, it wouldn’t hurt a bit of previous research. We do suggest going through online robot movies reviews or search reputed scoring platforms like IMDB and Rotten Tomatoes. There, everybody can leave a score and so you can tell which movie will be suitable for you, based on the plot, the leading actors, or the scores provided by previous watchers. Unfortunately, sci-fi movies are rarely taken into consideration for large international film festivals and movie awards, so don’t expect too many of them making it to the red carpet. This means you can only base your research on what friends or relatives suggest or on the movies reviewed. You can even go to your favorite DVD store and see what’s for sale in this department or ask for recommendations there. There are few robot movies that made history over the years and turned into successful sagas, sequels, prequels, and anything in-between. By far, the most popular robot movie of all times remains the classic Terminator, with all its five episodes. The story is worldwide known and the movie is the one that has turned actor Arnold Schwarzenegger into a Hollywood star. In second place comes the extremely popular Robocop, the movie depicting an injured police officer who has his body reconstructed almost entirely only to become a cyborg. The movie also has become a worldwide hit and has had several reinterpretations over the years. When it comes to movies to watch anytime with robots, we cannot stop but remember a handful of highly emotional and beautifully-written movies. These can be easily watched by people of all ages and can turn into wonderful lessons taught to your children. We are talking about Wall-E and The Bicentennial Man. The first one is a wonderful animation developed in 2008 and is one of the few robot movies to receive an Oscar. It tells the story of a small robot that embarks on a space journey that will prove to become a journey of a lifetime which will help decide the future of mankind. The latter, The Bicentennial Man starring Robin Williams is a reinterpretation of a story originally written by sci-fi author Isaac Asimov. It tells the story of a household robot who easily develops a human side, struggling to be recognized as a human being in the end. These movies show the sensitive side of artificial intelligence, as well as a more romantic approach towards the perks of such technologies. I, Robot falls into the same category as it depicts the universe of robots that receive artificial intelligence and, seeing what humans do to each other, will soon start a war against them for their own protection. The movies in this line, although not entirely redeemed as robot movies, tell a romantic or not-so-romantic version of how it feels to constantly interact with artificial intelligence programs of the future. Some of them become independent on their humans and start growing on their own, developing reactions similar to feelings. Films that fall into this category also represent good choices of movies for family moments, but we do suggest watching them if you have older children. Toddlers or little children may fail to understand the depth of them and, also, some concepts may be quite hard to explain. In this category, some of our top selections include Her and Transcendence. Both of these movies score high in the IMDB database and deal with rather delicate concepts. In Her, the character played by actor Joaquin Phoenix falls in love with his new Operational System in a near future where these OS are generated by Artificial Intelligence robots capable of learning anything in a matter of seconds. A similar story is told by the film Transcendence, starring Johnny Depp. The only difference is that in the latter, a scientist obsessed with the idea of developing the AI even further manages to upload his consciousness into such a program.